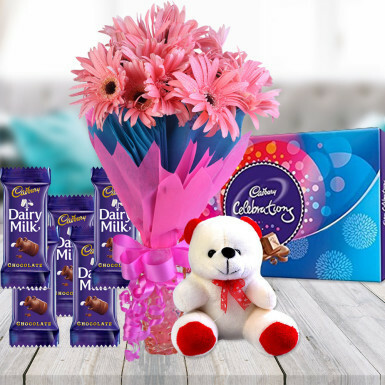 Are you confused about what to gift your loved ones on the upcoming occasion? 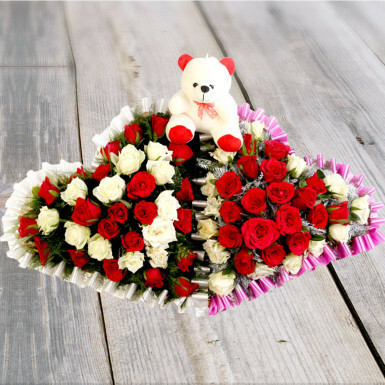 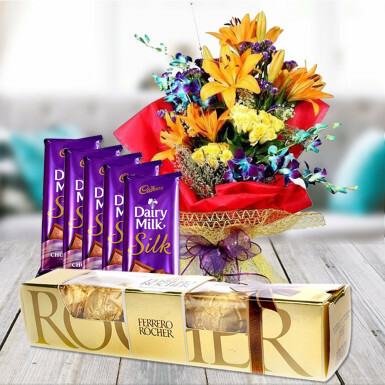 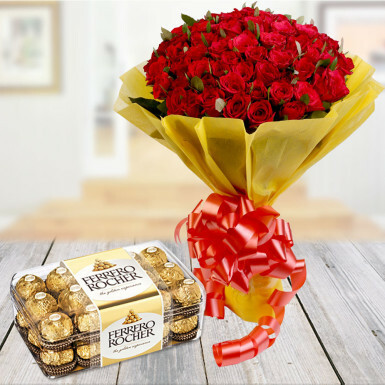 FlowersCakesOnline have the solution to your situation with a combo gift of 15 yellow roses with yellow paper packing and yellow ribbon bow and a 131 gm Cadbury Celebration box. 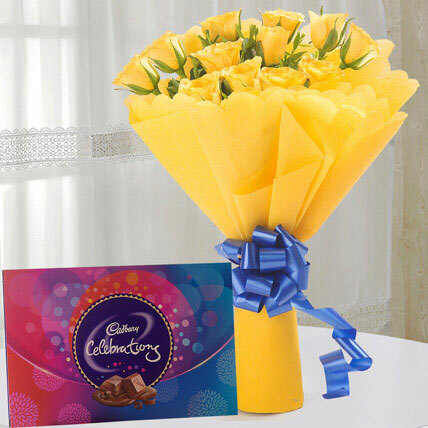 Yellow is the quintessential color of friendship, joy, and excitement and chocolate increases the happiness of mind. 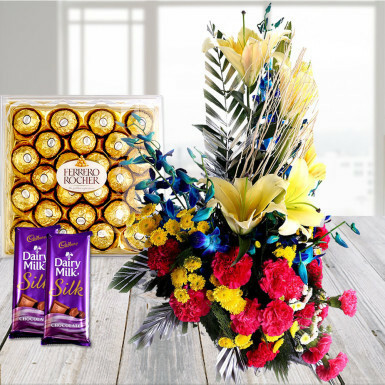 So, this combo would mark a fabulous celebration time for you.